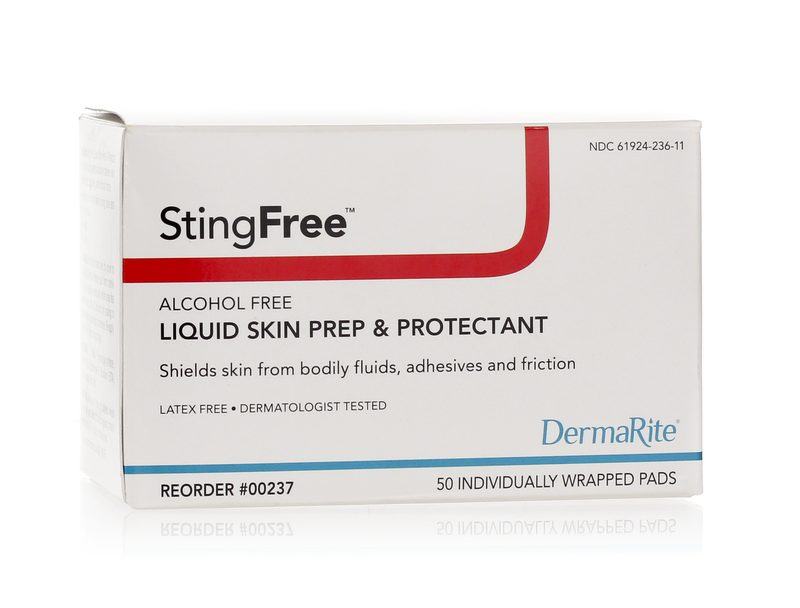 StingFree is a no sting skin prep. It provides alcohol free protection for up to 72 hours. 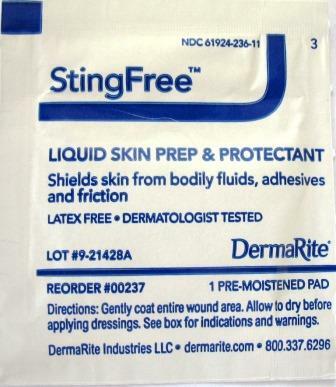 Forms a quick-drying transparent protective film between skin and urine or feces. Aids in the prevention of skin maceration. 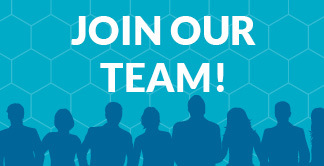 Will not clog incontinence briefs or interfere with absorbent pads. To protect against excessive moisture due to wound exudate, tube drainage or incontinence. 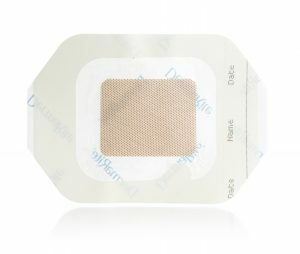 To prevent skin stripping from adhesives. To decrease friction damage over bony prominences. 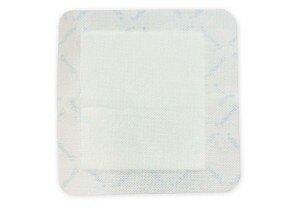 To form an extra barrier over intact skin in fragile areas as seen with Stage 1 pressure ulcers, suspected Deep Tissue Injury and blood blisters. 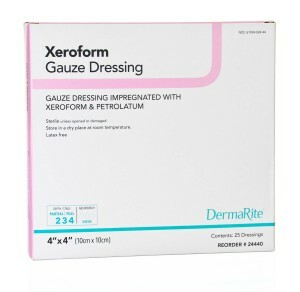 Categories: Wound Care, Skin Prep.